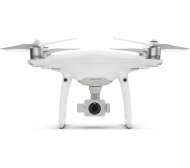 alaTest has collected and analyzed 71 reviews of DJI Phantom 4 Pro / 4 Pro+. The average rating for this product is 4.7/5, compared to an average rating of 4.3/5 for other products in the same category for all reviews. Reviewers really like the durability and image quality. The reliability and size are also mentioned favorably, but there are some mixed reviews about the price. We analyzed user and expert ratings, product age and more factors. Compared to other products in the same category the DJI Phantom 4 Pro / 4 Pro+ is awarded an overall alaScore™ of 94/100 = Excellent quality. The drone maker also added a new panoramic image mode for its littlest quad. We go hands-on with the new DJI Phantom 4 Pro with a new 20 megapixel 1inch sensor camera and upgraded features. DJI Phantom 4 Pro review: DJI Phantom 4 Pro review: So you wanna be a drone photographer? Automated camera features and slick flight controls make the Phantom 4 Pro the copilot you never knew you needed. Camera features, easy-to-master flight controls and upgrades on the previous generation prove that DJI knows what it's doing. Sticker price and investing in additional batteries means the Phantom 4 Pro doesn't come cheap. The price puts it just outside of "entry level," but the Phantom 4 Pro is a no-brainer if you're serious about drone photography. The is a professional-quality camera drone in a package that will be familiar to anyone who has used any of the many iterations of DJI's Phantom series. However, the is likely a better choice for most people. Intelligent flight modes are fantastic. A little expensive; but it will pay for itself in the long run.